For arts to be included in commissioning of health and social care services, there needs to be robust evidence of their effectiveness, impacts and costs. The document is modelled on standard public health evaluation frameworks and is in three parts: background discussion to help make sense of the framework; . the different types of evaluation; and the reporting tool. The document is intended for health commissioners, third sector organisations, trainers, funders, practitioners, managers, arts organisations and researchers. Daykin, N., & Joss, T. (2016). 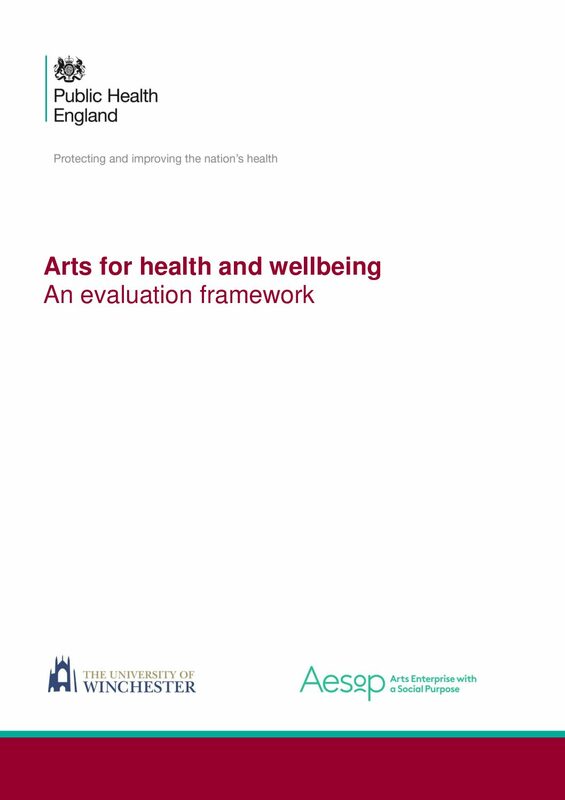 Arts for health and wellbeing: An evaluation framework . London: Public Health England.